Going back to my artistic roots. That's really funny. You must have some patience to complete that. 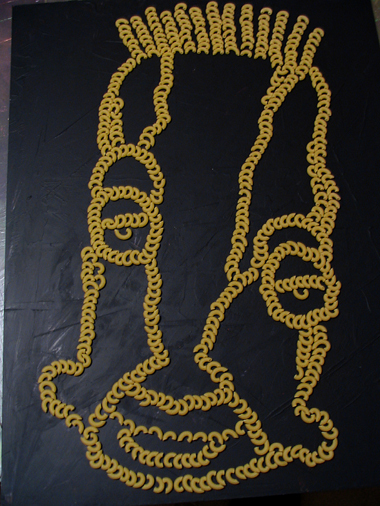 I am strangley inspired, too, I've never done a macaroni piece. Did you get to the last piece then sneezed ? :) Or maybe you had the sense to glue them down :) Nice work !